We squeezed it all in! I couldn't help but notice that the U-haul trailer that was randomly picked out for us has a picture of a man driving a tractor on the side. 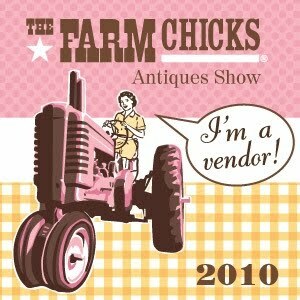 How perfect for The Farm Chicks Show! Up next...Some preview pictures of the booth and some of the amazing talented vendors.